WASHINGTON — The Army, along with the other military services and the Department of Veterans Affairs, is standardizing the diagnosis and treatment of post-traumatic stress disorder. “No matter where Soldiers are getting care or seeking help for PTSD or any other medical issue, we want to ensure we are doing it the same way,” said Lt. Col. Christopher Warner, the Army Surgeon General’s psychiatric consultant and deputy commander, Clinical Services, Bassett Army Community Hospital, Fort Wainwright, Alaska. Warner said standardization increases a Soldier’s level of trust and fairness in the system. 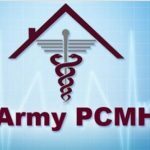 The Army medical community is now being trained on guidelines spelled out in Army Medical Command Policy Memo 12-035 (Apr. 10, 2012), Policy Guidance on the Assessment and Treatment of Post-Traumatic Stress Disorder, Warner said. The memo emphasizes the urgency of the issue. PTSD is a widespread problem. 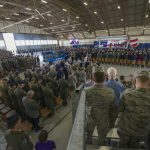 It occurs in three to six percent of service members with no deployment experience and in five to 25 percent of service members who have been deployed to combat zones. Combat frequency and intensity are the the strongest predictor of the condition, according to the policy memo. An example of standardization is using the “patient-centered care” approach. “Patient-centered care within a culture of trust requires that care providers focus on patients’ primary concerns, and these diagnoses, when inappropriately used, can damage therapeutic rapport and interfere with successful care,” the memo reads. In the past, some medical commands have supplemented this approach with forensic psychiatry, which, according to Warner, incorporates the medical practice of psychiatry with the legal field to conduct administrative reviews for medical boards. 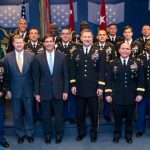 Warner said the approach is similar to the workman’s compensation model that, while not utilized inappropriately, did not provide a standardized process across the Army. “That model is no longer in use in the Army,” Warner said. Lt. Gen. Robert B. Brown, I Corps commander, speaking at an Aug. 2 press conference at Madigan Army Medical Center, Joint Base Lewis-McChord, Wash., agreed that the patient-centered care approach and standardization is best. Brown explained that forensic psychiatry adds, “an extra layer of supervision really not needed for PTSD medical board examinations.” He said that while forensic psychiatry is a good tool to use in specific situations, the Army needs a more consistent and equitable method of fairness in PTSD diagnosis. The forensic psychiatry model has been criticized for placing too much emphasis on malingering. 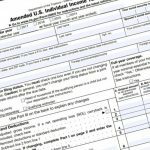 The policy memo clarifies the reason for discontinuing that model. “Although there has been debate on the role of symptom exaggeration or malingering for secondary gain in DOD and VA PTSD Disability Evaluation System processes, there is considerable evidence that this is rare and unlikely to be a major factor in the vast majority of disability determinations,” the memo reads. 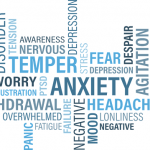 Other aspects of standardization for PTSD care are being addressed. For example, some medications used in the past were found to not be the best choices for PTSD, said Warner. Another example he cited is standardization of new treatment methods based on research, not only from military medicine, but from first responders — firemen, police officers and paramedics — who routinely handle very traumatic situations. A cutting-edge development within the Army for the prevention of PTSD that the committee is looking at, for example, would be Comprehensive Soldier Fitness, which increases a Soldier’s resiliency, he said. Standardization is not limited to Army Medical Command Policy Memo 12-035. 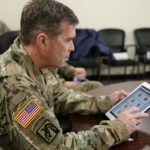 The Army, VA and other services are standardizing the administration of treatment, using the Integrated Disability Evaluation System, or IDES. 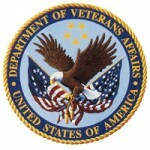 Warner said the IDES, in conjunction with the Army Physical Evaluation Board, determines whether or not a service member should stay in service or transition to the VA system as a medical retiree. If the latter, the service member is guided through the process of transitioning from Army to VA care, while he or she is still on active duty, to ensure no loss of coverage or break in treatment, he explained. The Army’s success at standardization and innovation are a source of pride within the medical community. “Combat has been our greatest catalyst to medical innovation,” said Maj. Gen. Richard W. Thomas, commander, Western Regional Medical Command. The general also spoke at the press conference. Thomas said that the best minds are working to improve diagnosis and treatment of PTSD. He said that besides the VA and other services, the Army is working with universities across the country and even the National Football League to improve the quality of PTSD care. Treating PTSD is a challenge, Thomas said, because it is not as obvious as treating something like a bullet wound. He explained that diagnosis is further complicated because Soldiers often have more than one injury — for instance, PTSD combined with traumatic brain injury. Additionally, Soldiers often have delayed reactions to traumatic events that may take years to manifest, he said. One problem still facing the Army is the stigma associated with mental disorders. Thomas said that today, the Army is seeing more Soldiers come forward for treatment, but the gains are still not enough.